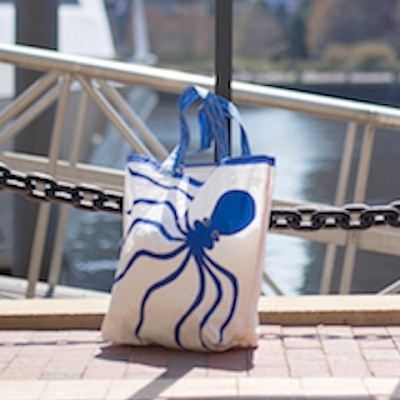 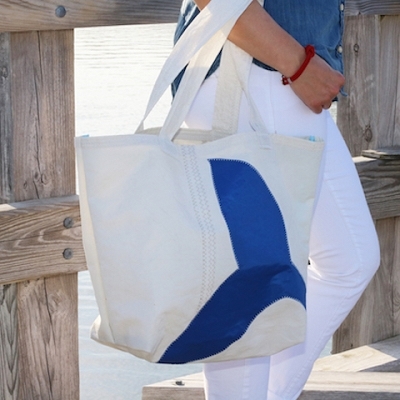 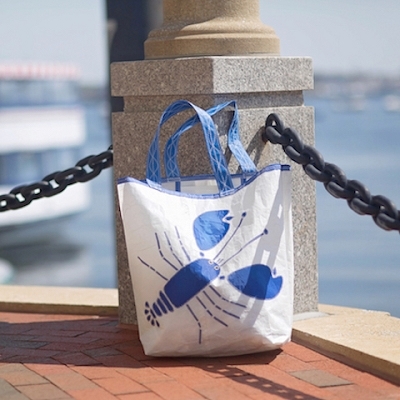 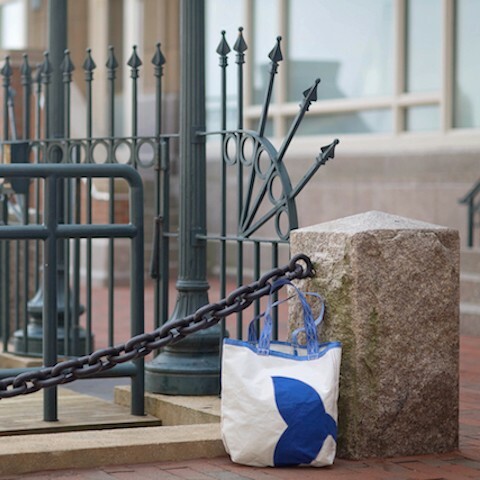 Bring a touch of nautical life with you everywhere you go with a handmade recycled sailcloth bag from Breakwater Blue. 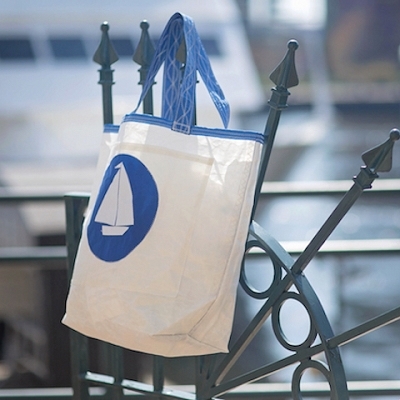 Our beautiful, affordable sail bags are handstitched and no two are exactly alike. 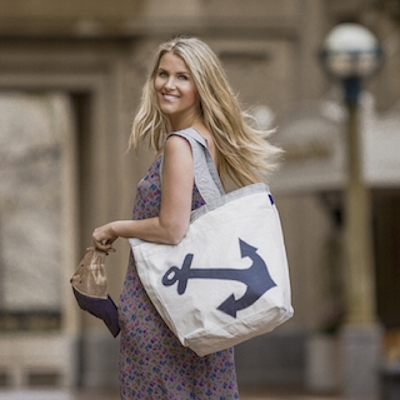 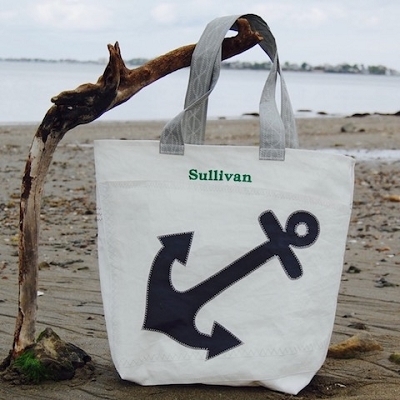 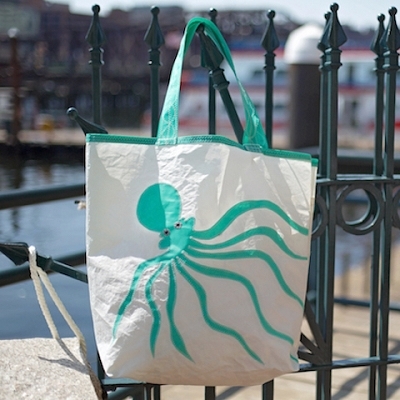 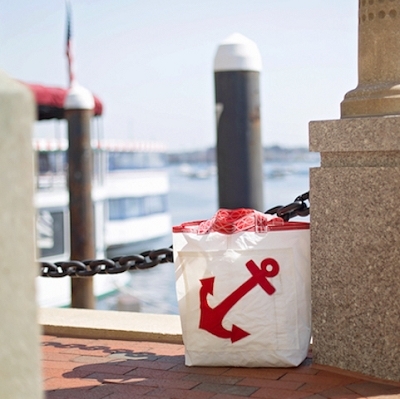 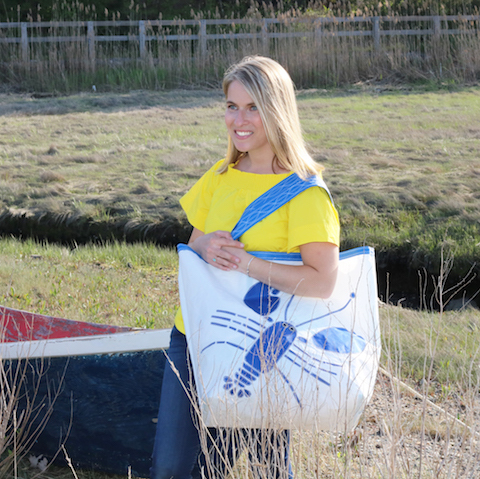 Our recycled sail bags are available in a variety of sizes and colors with designs reflecting the things you love about nature, seafaring, and inner peace. 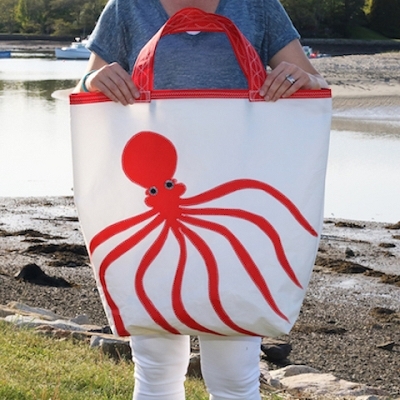 You can even design your own bag, choosing a design and other features like a zipper and embroidery. 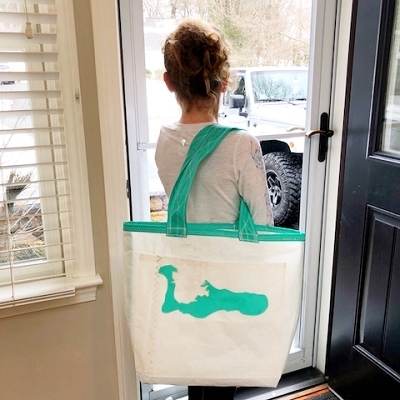 Make something truly unique! 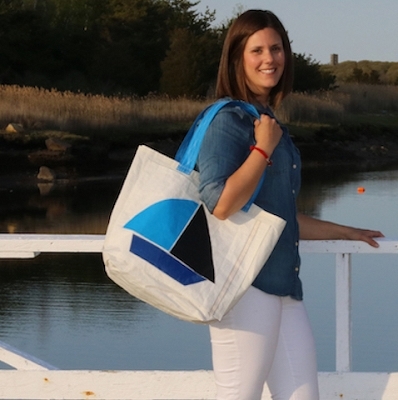 Since we use recycled sailcloth to create our bags, we're helping prevent waste from entering the environment while at the same time creating handcrafted bags . 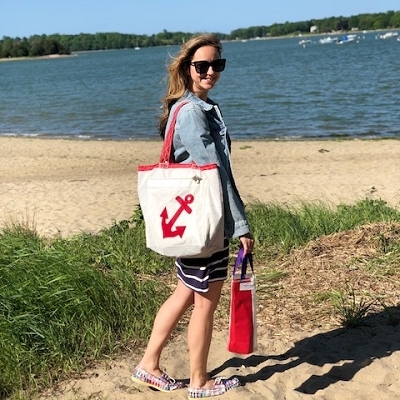 Plus, sailcloth is very strong and machine washable, so it's the perfect material for useful & durable bags that can survive many adventurous outdoor days. 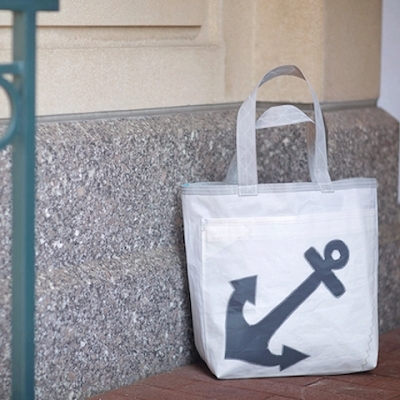 Our sail bags have a small inner pocket for easy-to-misplace items like keys, and a larger outside pocket to keep your day more organized. 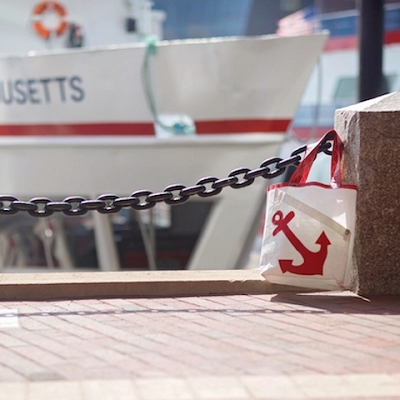 The handles are durable and comfortable, whether you choose to carry your sail bag or sling it over your shoulder. 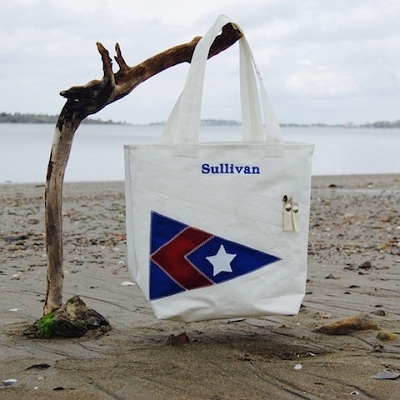 When you carry a sailcloth bag, think about its previous life as a sail, carrying a vessel across the open waters. 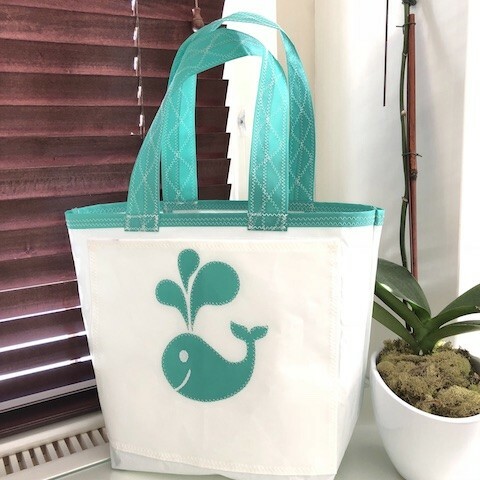 Where has it been? 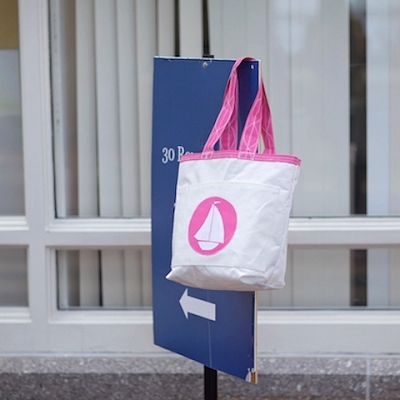 Maybe your bag has gone around the world. 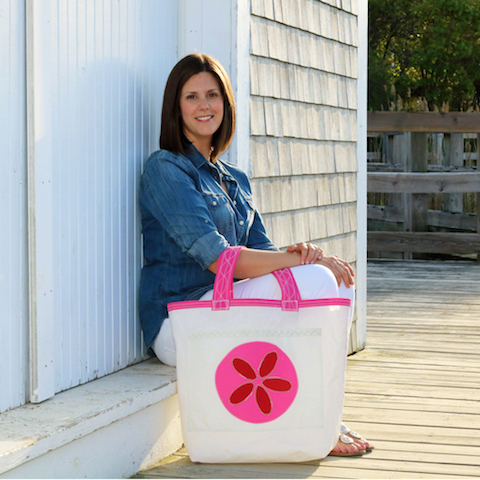 It's fun to imagine, and can certainly brighten your day. 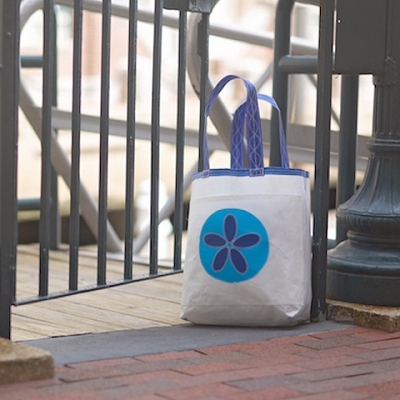 Our smallest bag measuring 19"h x 5"w x 16"l is perfect for your day to day needs. 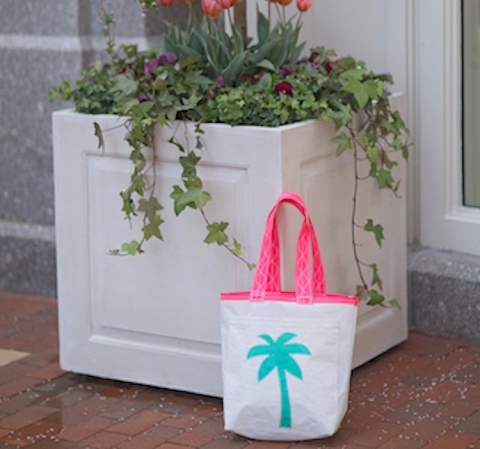 Our middle of the road tote bag measuring 21"h x 5.5"w x 18"l is perfect for a weekend away, pool or beach day. 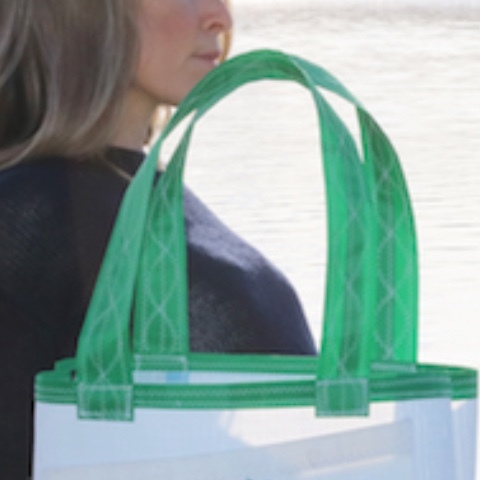 Generously measuring 24"h x 6"w x 20"l, this bag is grandiose with comfortable, strong handles. 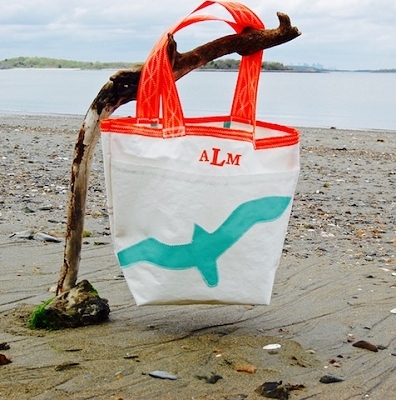 Best Beach Bag Ever! 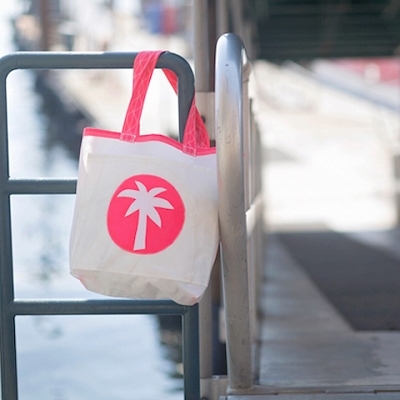 Make it your own. 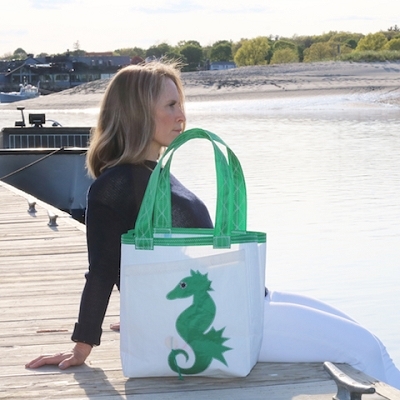 Choose the design, color, size, and special features like adding a zipper or embroidery.